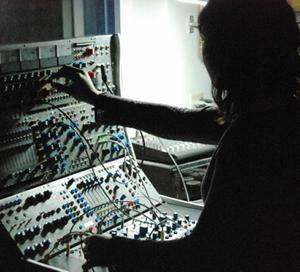 As an electronic and electro-acoustic composer, Sarah Davachi engages in practices of analog synthesis and psychoacoustic manipulations. Her work considers the experience of sonic dwelling, utilizing extended durations, gradual transformations in texture, and simple harmonic structures that emphasize variations in overtone complexity and natural phasing patterns. Davachi holds an MFA in Electronic Music from Mills College and works for the National Music Centre in Canada as an interpreter and archivist of their collection of acoustic and electronic keyboard instruments. Her research has been published within Canada and the UK, and she has held artist residencies at The Banff Centre, STEIM, WORM (Rotterdam), and EMS (Stockholm). Davachi resides in Vancouver, Canada.